MediBib is worn by staff whilst preparing and administering medication. It allows staff to concentrate without interruptions from colleagues, patients and visitors. Limiting interruptions minimises errors, creating safer medication rounds and additional time for patient care. Made from polypropylene spunbonded nonwoven fabric, MediBib is breathable, soft, light, chemical resistant and nontoxic. MediBib can be recycled, naturally decomposes and completely incinerates without any poisonous pollutant. MediBib slips over the head easily. If MediBib becomes contaminated, it can be easily torn away. 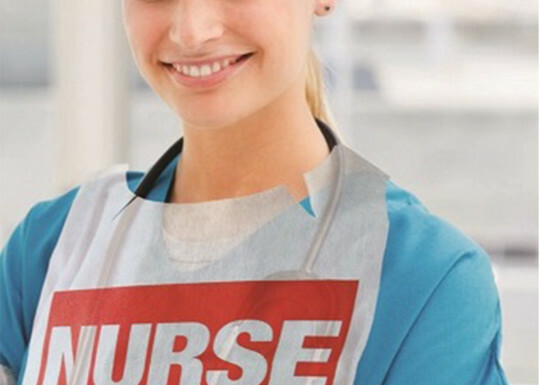 Secure MediBib to uniform with sticky tabs to prevent fly-away when walking or during a procedure. Perforated box for easy single bib dispensing. 100 bibs per box, 10 boxes per carton. Packaging - 100pcs per box, 10 boxes per carton. 35 gsm non-woven spun bond polypropylene. 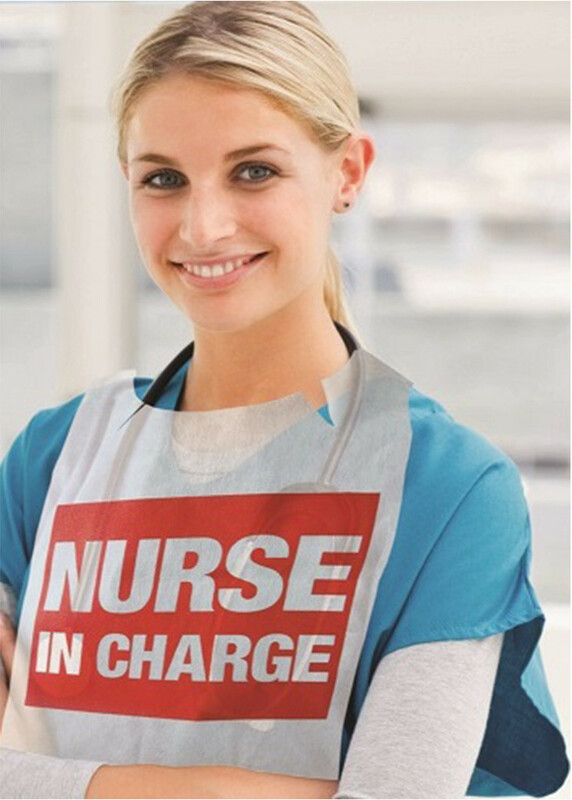 A disposable alert bib designed to minimise medication round interruptions.